It sure is easy to give Samsung a hard time with all their copying ways, but you have to give their marketing team credit for hilarious ads that poke fun at their competitors. It can do that? The Galaxy Pro series of tablets have more great features than ever, with screens that blow the competition away. Oddly enough, despite Samsung’s ad showing the limitations of rival tablets, if you squint enough you will see fine print on the ad as it plays showing the text “screen images simulated, sequences shortened.” Other companies do this too, but I’ve never seen disclaimer text this tiny and hidden. What do you think of this ad? 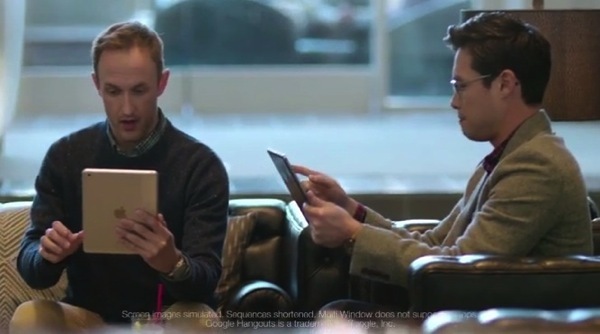 It sure is better than these other horrible Samsung ads.